I've done multiple Ancestor Deep Dives, tracing direct ancestors through documentation. But there are some who actually remember these people--so I've asked them to share their memories. Here's the first of several. 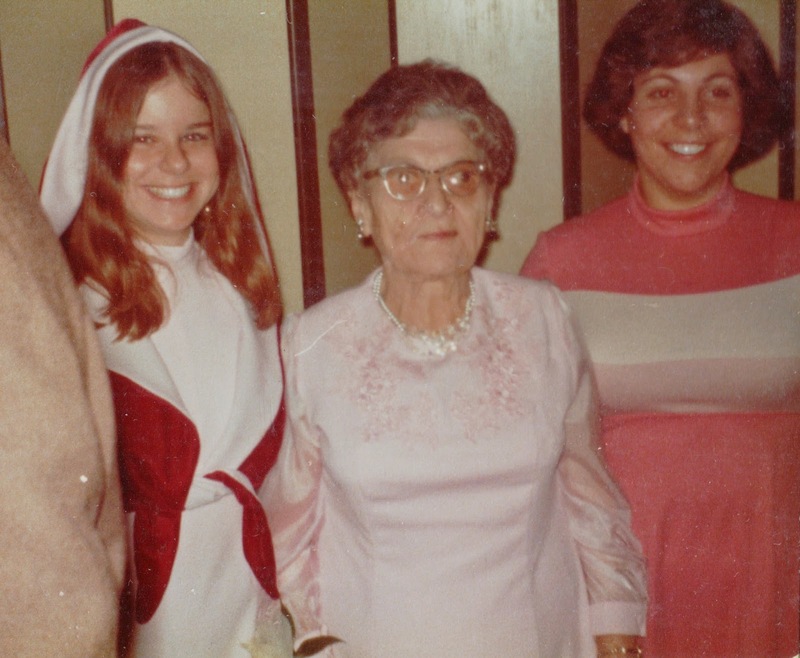 Thanks to my mother's first cousin, Karen Ehrenreich Shipkovitz, for sharing her memories of my great-grandmother (her grandmother), Mollie Supkoff Tolchin. A deep dive into Mollie's life can be found here. Mollie lived with us as long as I can remember. I shared a room with her for many years as we had a 3 bedroom home for 6 of us and of course in those days only one full bathroom. Mollie was a terrific cook and made the best cookies. After school, she would always have her soft doughy cookies waiting for me and my friends. She never varied much from her menu and if it was Monday you knew exactly what you were having. She always made it a point to have a hot meal ready for my father, Leonard, who generally came home late and ate around 9. He was in the produce business and had long hours. Rumor has it he was a gambler- cards I believe but I never knew this as a child.